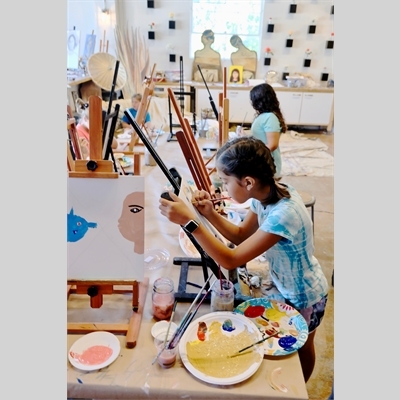 2nd Wednesdays – Paint Works gang let our amazing instructors help guide you as you learn to capture the feeling of light, color, atmosphere, shape and imagery to express your ideas. 3rd Wednesdays – Construction Open Studio, spend time constructing sculptural models of your own design. We will provide weekly projects to study and build using wood, glue, and hand tools. Plenty of technical & inspirational support on hand. 4th Wednesdays – Crazy Mixed bag of art. We will explore fun and fabulous art projects that might include any or all of the above! PD-1 Ages 6 and up,Wednesdays ongoing 3:30 -4:45 pm.